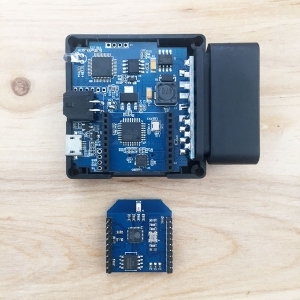 Freematics ONE is an Arduino UNO in the form of OBD-II dongle with an xBee socket inside that allows Freematics ONE to get different wireless communication capability by various xBee modules. 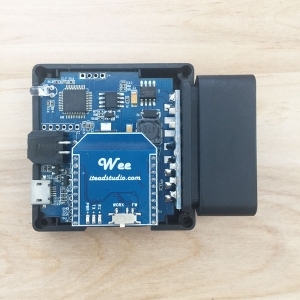 Today let’s show how a ESP8266 WIFI bee module gives Freematics ONE WIFI connectivity. To communication with xBee module in the socket, it is recommended to use xBee APIs (function names begin with xb) provided by our library. This test sketch initiates ESP8266, joins a WIFI network (with correct SSID and password set) and communicates with a remote server with HTTP GET. It runs like following. 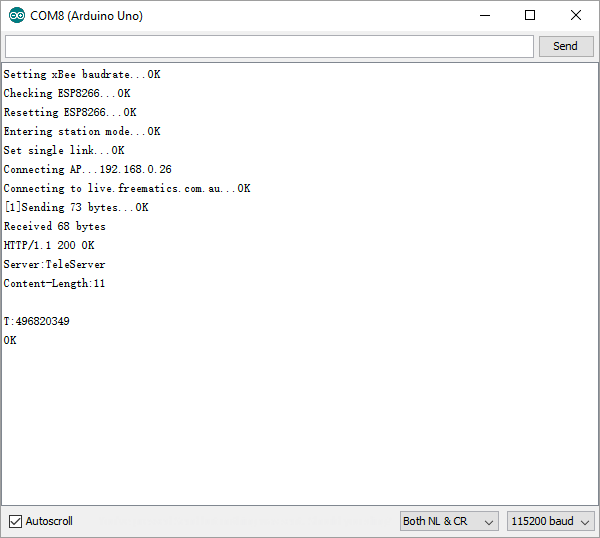 Here is ESP8266 AT command set for a reference. A more comprehensive and well commented Arduino sketch for Freematics ONE with ESP8266 WIFI module is available here.